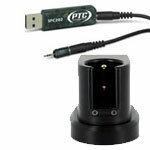 PTC® Instruments is a west coast distributor for MadgeTech® data loggers. Record carbon dioxide, humidity, temperature and pressure. The temperatures for perishable goods in transit, HACCP Compliance, HVAC, medical, pharmaceutical, sterilization, environmental research, perishable goods, food storage monitoring, warehouse monitoring, environmental studies, wine cellars, humidors, refrigeration, archival storage for fine art and books. 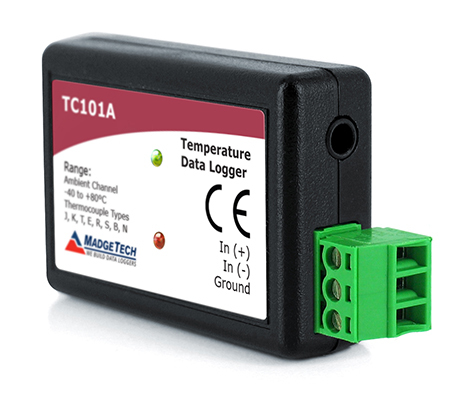 Ultra-low-temperature (cryo), high-temperature, wireless, RTD and thermocouple data loggers. Intrinsically Safe Data Loggers for Temperature, Pressure and Humidity. Intrinsically safe data loggers for measuring and recording water and steam pressure. Rugged, submersible, stainless steel enclosures that withstand harsh and underwater environments. A stand alone pH and temperature logger with an LCD. 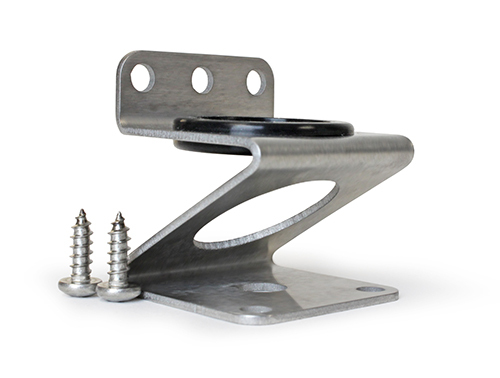 Ideal for applications such as HVAC studies, oven profiling, dry-ice shipments and process validation. Wireless (RF) data loggers accommodate a wide variety of applications and studies and are ideal for real-time, continuous monitoring and configurable alarm notifications. Record carbon dioxide, humidity and temperature. Perfect for Cannabis Cultivation. 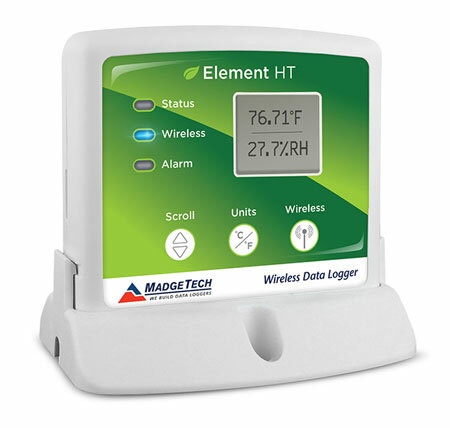 The wireless data logger that measures and records carbon dioxide, humidity, and temperature levels in a variety of applications. Cables are available with serial or USB connections. Includes the software and instructions. MadgeTech Data Loggers are Made in the U.S.A.